Responsible Rubbish Removal. Call Us Today. Need to Clean Up Hoarded Junk? Excess junk can be a problem for everyone at times; stuff can just easily accumulate over time, going unused for ages until being thrown away. For the most part, people are good at throwing out or giving away unwanted items and removing the clutter from their lives. Some people, however, never like to throw out anything and their places can pile up to the ceiling with garbage. Most households use the full capacity of their curbside bin service - if you think about almost a bin full of junk piling up every week, you can start to imagine a hoarder's house. For many people who have hoarding tendencies, when things reach a certain point they’ll realise they’ve got a problem and fix it. If this sounds like you, a friend, or family member, you’re probably aware of the mammoth task it would be to dispose of all the accumulated trash. 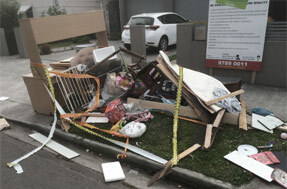 Our friendly team at Same-Day Rubbish Removal take all the stress out of a hoarding clean up. In most cases, our large capacity trucks can take away everything that needs to go in one trip, instead of multiple small loads to the local tip or recycling centre. We also do all the hard work and heavy lifting for you, in fact, you don’t even have to lift a finger! Just direct our crew to the various items that need to go. 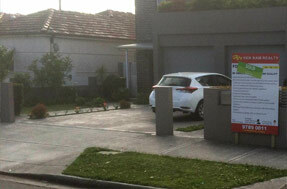 Same-Day Rubbish Removal has spent over 10 years removing rubbish from hoarding clean ups and deceased estates. We’ve just about seen everything, and no job has been too hard for us yet. It doesn’t matter what sort of items you have that need to go, whether it be large pieces of furniture like lounges and couches or just lots of smaller items like old computers and printers, we can take it all away fast. We pride ourselves on the quality of our work, we never like to leave a place until it is looking spotless. This may be hard in some cases, but we promise customers that we won’t leave until they are 110% happy with the job we have done. You can also be confident that your rubbish is being disposed of responsibly when you use our service – wherever we can we try to make sure your junk gets recycled. 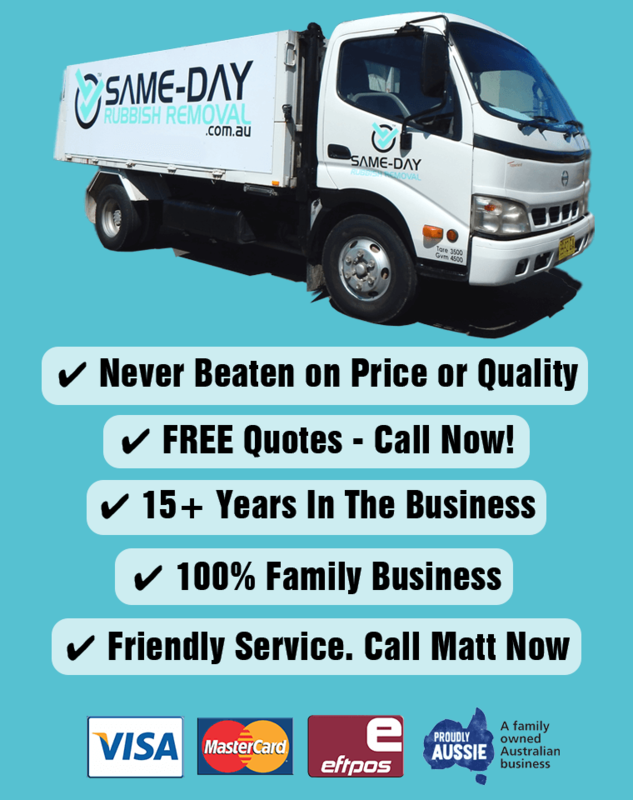 Our team are proud to confidently claim to be the fastest rubbish removal service in Sydney. Over the years we have optimised the way we operate so that we can make it to your location and clean up sooner than what seems possible, this efficiency also helps us provide the cheapest rubbish removal service available too. Our fast and cheap service is available to all Sydney areas, whether you’re out in Liverpool, in the middle of Sydney’s CBD, or up in the Hills District. We are ready to come and get your place cleaned up. 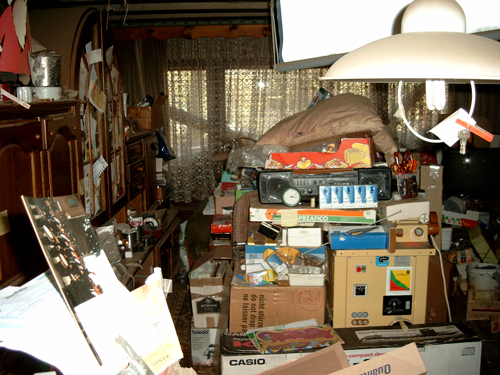 If you’re ready to say goodbye to all the hoarded junk at your place, call us now on 0402 737 046. We promise you’ll love our service.